An asymmetric and unbalanced system of security has developed in the Euro-Atlantic region. It is based on a major gap in capabilities between Russia and NATO. Although that asymmetry was not of critical concern prior to the Ukrainian crisis, it has become a source of serious risks under current conditions capabilities between Russia and NATO. The authors consider mutual deterrence as a negative trend but inevitable for Euro-Atlantic security in a long-term perspective. This gives the basis for 5 scenarios of development of relations between Russia and the West. Such scenarios as “Conflict” “Unstable Deterrence” are defined as the least desirable but probable, while “Cooperation” and “Diminishing Deterrence” - are the most desirable, but the least probable. The way to mitigate the damage and risks as well as increase predictability is the “Stable deterrence” scenario. In the current political situation it is the most realistic and feasible although it does not provide the solution for key problems in the relations between Russia and the West. 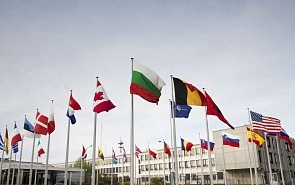 The key factors of Euro-Atlantic security are considered in the report. They are the balance of power, structures and institutions, new areas of rivalry, influence of extra-regional forces, conflicts on the periphery.